This rice salad will make a great side dish for your next barbecue and will perfectly compliment any meat, chicken or fish. 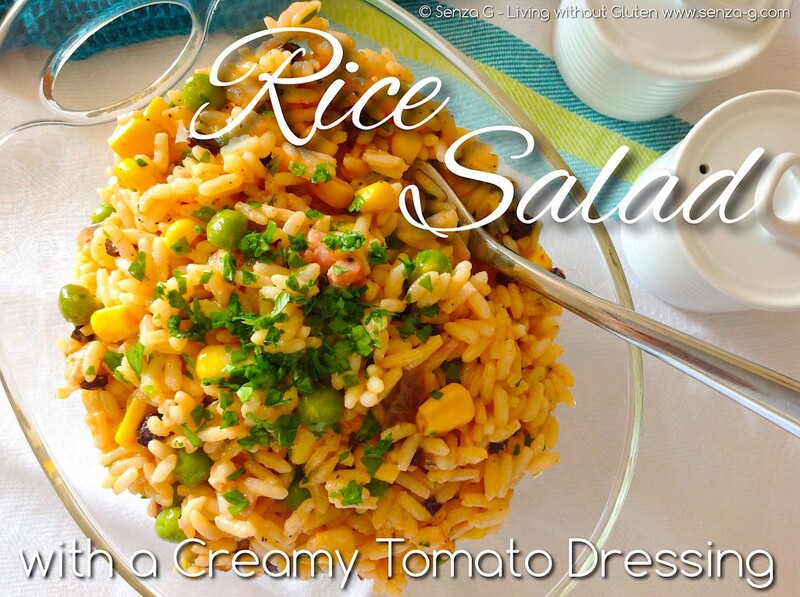 You can mix half white and half brown rice for a healthier option. Start by preparing the creamy tomato dressing by simply combining all the ingredients in a jar. Shake well and set aside. Boil rice in a large pan of rapidly boiling water for 10 minutes or until rice is tender. Drain and allow to cool. In a pan, saute the onions until translucent. Add the bacon and cook until crisp. Boil, steam or microwave the sweetcorn and peas until tender. Rinse under cold water and drain. Gently combine all the ingredients with the tomato dressing in a large serving bowl.